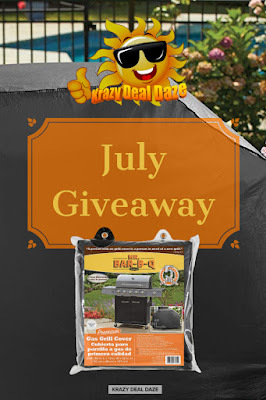 It's Time For The Krazy Deal Daze July Giveaway! Summer and grilling season is still in full swing! Are you one of the many people who purchased a new grill at the beginning of the summer season? Did you remember to get a cover? Well, Krazy Deal Daze has got you covered! THIS GIVEAWAY HAS ENDED, IF YOU MISSED THIS ONE DON'T FRET. WE HAVE ANOTHER GIVEAWAY COMING UP NEXT MONTH!! For your chance to win, NO PURCHASE NECESSARY. 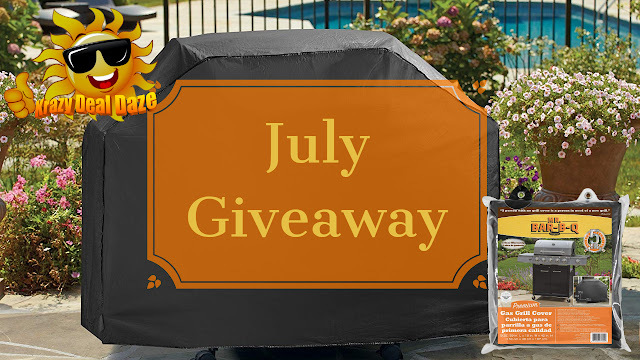 Ends July 31st, 2018 @ 11:59 PM PST, or when the prize is claimed. Krazy Deal Daze has paid for the prize, sales tax, and shipping. Entry requires an Amazon.com account. Amazon will ship the prize to the winner. The winner's name may be made public. That sounds really cool! I love giveaways! This is something my dad would love, I'll forward this post to him. Wow This is so nice! This reminds me. It has been two days when I have been craving for barbecue. Yum! I am hungry! wow! The giveaway looks exiting. Good luck to the participants! What a lovely giveaway here. I love summer for the many BBQs. Good luck to everyone entering the competition.